Andy Colwell is a Penn State student who is an avid and very talented photographer—he does a lot of shooting for Penn State Public Information and is amassing a portfolio of terrific images. (He’s the guy who took the photo of the Pattee Mall in an October snowstorm that many of you loved.) He often photographs Penn State basketball, and two of his recent photos from Lady Lion games really stood out for me. 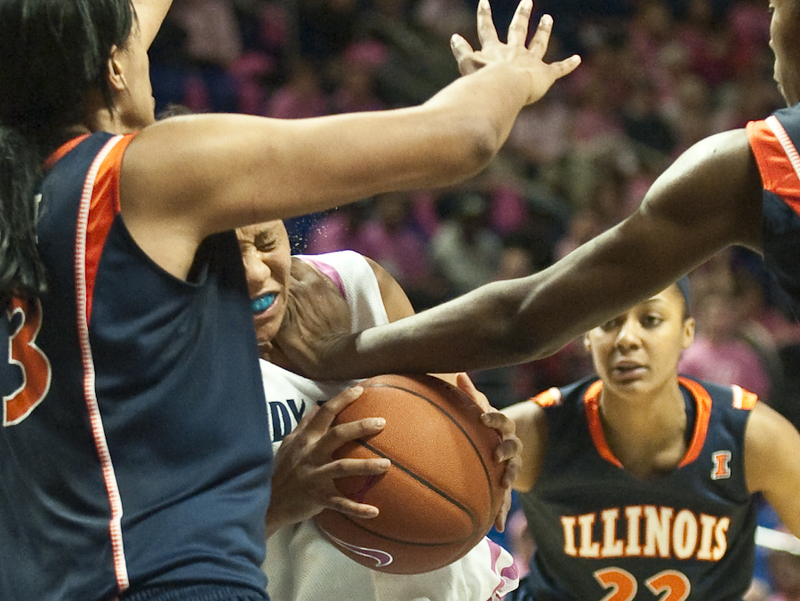 One is the above image from last Sunday’s Pink Zone game; it captures Karisma Penn of Illinois fouling (to say the least) Penn State’s Tyra Grant. Click to see it larger—and note the sweat flying off Grant’s uniform! The other is the photo below of Grant flying through the air toward the basket in last Thursday night’s game against Purdue. You can see more photos from the Pink Zone game here, and you might also want to check out Andy’s own Web site, here. Entry filed under: Uncategorized. 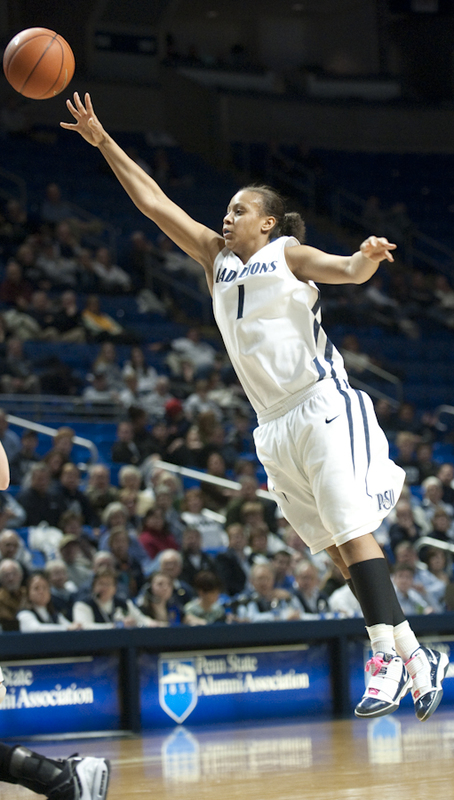 Tags: Andy Colwell, basketball photography, Karisma Penn, Pink Zone, Tyra Grant. When you display photographs, you should include a paragraph or two from the photographer on how s/he got the shot. The photos are great, but the photographer’s insight would be even greater.